Searching for the right attorney can be a daunting challenge. You need an attorney that understands your needs and will provide clear communication with straight forward answers and guidance. Knowledge is the first step in making the right decision about what course of action to take in your situation. Whether you need an experienced and knowledgeable family law attorney to represent you and protect your interests in a contested case, or you seek a qualified neutral mediator to solve unresolved outstanding issues related to your family law case, we can help. When it comes to divorce, child custody, and any family law related matter, as a Denton County, Texas Family Law and Probate lawyer, Gary Kollmeier is committed to providing high quality legal client focused representation delivered in a compassionate, professional and ethical manner. In our family law practice, we provided advice and expert representation to individuals seeking divorce, modification of prior court orders, enforcement of court orders and other post divorce issues, and probate matters. Visit the Areas of Practice of this site to learn more. If you have any questions about how you and your family can benefit from our services, contact us anytime. For your convenience, late afternoon or early evening appointments may be arranged. Go to Trial or Settle? A lawyer's willingness to go to trial coupled with a proven experience in court often delivers better results at the settlement table. When your opponent and their lawyers know you are prepared to go to trial, settlement discussion and mediation are much more productive. “Winning” in the family law context is the product of preparation and careful planning. Every lawyer will tell you he or she intends to win, but in reality, their aggressiveness may be to cover the fact that they are simply trying not to lose. It should be noted that it is very difficult for any party to come out of a divorce or custody case feeling as if he/she is the "winner," no matter what the outcome is. This is usually because of false expectations, but many times the result of the fact that there may be no way for either party to be a "winner" or "loser" in the case. Being a party to a family law matter usually involves being a victim in some way or another; don’t let the legal system victimized you further. It is important to utilize a cost-benefit approach when litigating any legal issue. Take control of your case, don’t let the system control you. As a legal professional, Gary Kollmeier has been actively involved with the local, county, and state legal communities. He was been elected president of both the Denton County Bar Association and the Family Law Section of the Denton Bar. In addition, Gary has fulfilled all requirements necessary to be a member of the Texas Academy of Family Law Specialists, the Denton County Collaborative Family Law Professionals Practice Group, The Denton County Real Estate and Probate Section, The Denton County Trial Lawyers Section, The State Bar of Texas, The College of the State Bar of Texas, and other professional affiliations . He has served on many local boards including, the Denton County Law Library Board, as well as being a volunteer mediator for the Denton County Alternate Dispute Resolution Program. Gary has served as a Alternate Municipal Judge of the City of Lewisville Municipal Court since 2000. If you and your spouse are committed to an amicable end to your relationship, without litigation, we can provide agreed matter services at competitive rates. We will work with you to make sure that you understand your options and the effects of the settlement that you may reach with the other party. The first step is an in-depth consultation with an attorney to determine if you understand all of the issues that need to be agreed upon, and how best to structure a settlement that you can propose to your spouse. Once an agreement is reached, then we can draft custom tailored court documents to ensure that the agreement is enforceable. Call our office to discuss if whether your case can be approached as an agreed matter. The normal cost of an initial consultation is only $175.00. In cases other than divorce, such as custody, paternity, child support establishment, child support enforcement or modification, geographic restriction imposition or removing, our attorneys can help you understand what your options are and whether seeking an agreed resolution would be appropriate in your case. If you and the other parent are committed to an amicable end to your relationship, or a modification of prior court orders without litigation, we can provide agreed matter services at competitive rates. We will work with you to make sure that you understand your options and the effects of any proposed settlement with the other party. The first step is an in-depth consultation with an attorney to determine if you understand all of the issues that need to be agreed upon, and how best to structure a settlement that you can propose to your spouse. Once an agreement is reached, then we can draft custom tailored court documents to ensure that the agreement is enforceable. Call our office to discuss if whether your case can be approached as an agreed matter. The normal cost of an initial consultation is only $175.00. Gary Kollmeier is a trained mediator having taken over 80 hours in basic and advanced mediation training, and has met the requirements to mediate a wide variety of disputes. 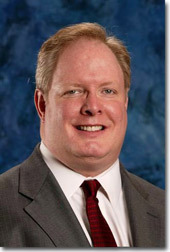 Gary Kollmeier has mediated over 30 cases, with a good rate of success. Visit our Mediation pages to learn more. Gary Kollmeier is also well trained in the new emerging field of Collaborative Family Law, a process entirely different from traditional litigation. Visit our Collaborative Law Section pages to learn more. Continuing Legal Education is paramount to any family law practice, and in 19 years of practice, Gary Kollmeier has earned over 810 hours of CLE credit; far more than the minimum of 15 hours per year required by the State Bar. Gary is a member of the Family Section, the Litigation Section, the Probate Section, the Alternate Dispute Resolution Section, the Municipal Court Section, of the State Bar of Texas. This dedication to continuing legal education others, to maintain the edge in legal proficiency necessary for effective representation of demanding clients. Gary has written and spoken frequently about Family Law topics to both the Bar and local community groups. The Law Office of Gary Kollmeier handles divorce, family law, and probate matters ranging from complex cases involving large estates with complex separate property and child custody issues to a simple agreed marriage dissolution. Being Board Certified in Family Law gives a special perspective on the practice and practicalities of Divorce and Custody Law. Since almost all cases eventually settle, an emphasis should usually be placed upon setting the stage for settlement or planning for mediation, rather than focus on certainty of a final hearing. Very seldom does either party leave a trial satisfied with the result handed down by the Court. More often, one side just plans for the next opportunity to litigate the case again. If possible, isn't it better to work toward settling your dispute with professional guidance and experience? That being said, sometimes a trial is the only way a case can be resolved; and in that instance, critical and productive planning and effort leads to the best results. Gary Kollmeier’s 19 years of experience allows his clients to fully understand their situation and their options, plan for a resolution, and effectively control costs. Gary Kollmeier has handled hundreds of Family Law and Probate cases. He will work with a client toward resolving their case in an agreeable manner using his extensive experience to ensure that the client is informed and understands all of the options available, and has the tools to avoid ongoing problems. Gary Kollmeier will ensure that all final order and other closing documents are drafted to ensure enforceability of the agreements. Of course, if necessary, Gary Kollmeier will litigate to conclusion a dispute in situations in which either the opposing party, or their counsel cannot or will not work either to settle the case or collaborate. Gary Kollmeier’s broad experience in both civil and criminal law gives a broad overview and ability to thoughtfully work through complex situations and help clients work through challenging and serious problems that are of utmost importance in their lives. Please call and schedule an appointment for a consultation. An in-depth interview usually takes at least one to two hours to explore and understand the dynamics of a client's situation and explore practical options and resolutions to legal issues. The normal cost of an initial consultation is only $175.00. --Please contact us for an appointment.